Law Web: Whether plaintiff has legal duty to come to court with true case and prove it by true evidence? Whether plaintiff has legal duty to come to court with true case and prove it by true evidence? Inspite of the courts repeatedly stating and reaffirming the principle that it is the duty of a party asking for an injunction to bring to the notice of the Court all facts material and relevant to the issue, the litigants continue in their efforts to obtain favourable orders from the Court, ex parte, without disclosing all material facts to the Court. "KULDIP SINGH, J.:---"Fraud- avoids all judicial acts, ecclesiastical or temporal" observed Chief Justice Edward Coke of England about three centuries ago. It is the settled proposition of law that a judgment or a Decree obtained by playing fraud on the Court is a nullity and nonest in the eyes of law. Such a judgment/Decree- by first Court or by the highest Court-has to be treated as a nullity by every Court, whether superior or inferior. It can be challenged in any Court even in collateral proceedings." "7. The High Court, in our view, fell into patent error. The short question before the High Court was whether in the facts and circumstances of the case, Jagannath obtained the preliminary decree by playing fraud on the Court. The High Court, however, went haywire and made observations which are wholly perverse. We do not agree with the High Court that There is no legal duty cast upon the plaintiff to come to Court with a true case and prove it by true evidence". The principle of "finality of litigation" cannot be pressed to the extent of such an absurdity that it becomes an engine of fraud in the hands of dishonest litigants. 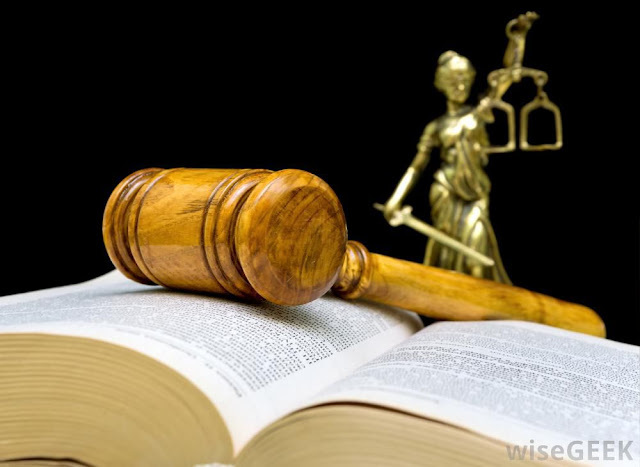 The courts of the law are meant for imparting justice between the parties. One who comes to the Court, must come with clean hands. We are constrained to say that more often than not, process of the Court is being abused. Property grabbers, tax evaders, bank-loan-dodgers and other unscrupulous persons from all walks of life find the Court process a convenient lever to retain the illegal gains indefinitely. We have no hesitation to say that a person whose case is based on falsehood, has no right to approach the Court. He can be summarily thrown out at any stage of the litigation." The passages quoted above leave no manner of doubt that a dishonest litigant loses his remedy, when discretionary relief is obtained by misrepresentation. The affidavit in support must make a candid and fair statement of facts. Facts must not be stated in a manner to mislead the Court as to the true facts. There must be no concealment of material facts. It is no excuse for the party to say that he/she was not aware of the importance of any facts which he/she has omitted to bring forward. "Before I proceed to deal with the facts I desire to say this : where an ex parte application has been made to this Court for a rule nisi or other process, if the Court comes to the conclusion that the affidavit in support of the application was not candid and did not fairly state the facts, but stated them in such a way as to mislead the Court as to the true facts, the Court ought, for its own protection and to prevent an abuse of its process to refuse to proceed any further with the examination of the merits. This is a power inherent in the Court, but one which should only be used in cases which bring conviction to the mind of the Court that it has been deceived. Before coming to this conclusion a careful examination will be made of the facts as they are and as they have been stated in the applicant's affidavit and everything will be heard that can be urged to influence the view of the Court when it reads the affidavit and knows the true facts. But if the result of this examination and hearing is to leave no doubt that the Court has been deceived, then it will refuse to hear anything further from the applicant in a proceeding which has only been set in motion by means of misleading affidavit." This aforesaid principles were affirmed by the Court of Appeal. "..... I express no final opinion, but it may be that the result of this is that the applicant has no further remedy. In the case of Keg. v. Bodmin Corporation (2) Day, J., said; "As I read the authorities, it has always been held, whenever this objection has been taken, and the attention of the courts has been called to the point, that no second application for a prerogative writ will be granted when the first application has been discharged. There are many authorities which support this contention; but I think apart from authority, that it is a most convenient view to take of the jurisdiction of the Court in such matters. It is a view which has commended itself to many Judges who have acted upon it, and it commends itself to me. It is no doubt extremely convenient that no second application for a high prerogative writ should be allowed after a first application has been refused. Such a writ is an extraordinary remedy, and persons seeking it may very reasonably be required not to apply for it unless they have sufficient cause for doing so. They must come prepared with full and sufficient materials to support their application, and if those materials are incomplete I think it is quite right that they should not be allowed to come again." It may be that the result of our decision is that the applicant loses her remedy. If so, she has only herself and her legal advisors to thank for it." "6. On 17th May, 1977, the learned vacation Judge granted leave to appeal this Court and also an ex parte order staying dispossession pending disposal of a Notice of Motion." "7. The respondents' application for revocation of a special leave to appeal is now before us. The respondents have filed a true copy of rent deed Exhibit 10. A perusal of it shows that there was a specific mention of Bhurdas as the owner of the shop in dispute which the defendant-petitioner had taken on rent. Hence, there could be no getting away from the fact that the defendant-petitioner had made a clearly false and misleading assertion in the special leave petition. We fail to see what point other than the applicability of section 116 of the Evidence Act, could possibly arise in the case. The whole case was concluded by findings of fact. Nevertheless, the special leave petition was granted in this Court. We think that the only reason why such leave could have been granted was that it was misrepresented to the Court that the rent note in favour of Bhurdas did not contain an admission of ownership of Bhurdas. This was certainty a misstatement of a material fact which was of decisive importance in the case. In fact, it was a serious misrepresentation on the only point which could possibly arise in the case." "8. We have heard learned Counsel for both sides. Learned Counsel for the defendant petitioner is unable to give any explanation for the false assertion. In Ground No. VI! of his special leave petition except that the learned Counsel had himself misunderstood the document because of other facts in the case. We are unable to accept this flimsy explanation as a sufficient justification for the false assertion." On the basis of the aforesaid observations, this Court would be fully justified in dismissing the application as well not accepting the company petition, which has only been lodged as yet and has not been accepted. 3. The petitioners have filed this petition under sections 433 and 434 of the Companies Act praying that the respondent company be ordered to be wound up as it is unable to pay its debts. In paragraph 4 of the petition it is mentioned that by a Resolution dated 29th December, 1998, the Factory Manager Mr. V.V. Mohan Rao has been authorised to institute, prosecute and to represent in winding up proceedings on behalf of the company. The extract of the Board Resolution is annexed with the petition. The main objects of the respondent company are to grow, collect, purchase, sell, import, export, refine, store, distribute or deal and in all kinds of oils, fats and bearing seeds etc. It is claimed that the respondent company approached the petitioner's Branch office in Mumbai through their Commission agents, M/s. Jamanadas Bhimji & Company for purchase of imported Sunflower seed oil @ Rs. 40,000/- per M.T. agreeing to pay the amount in the petitioner's Branch Office in Mumbai. The petitioners supplied the imported Sunflower Seed Oil to the respondent company under twenty two invoices of its Mumbai Branch Office. From 15th October, 1998 to 18th October, 1998, the total quantity is 266.885 M.T. of imported Sunflower Seed Oil for the total value of Rs. 1,07,04,000/-. The respondent company received the entire consignment at Nanded. By letter dated 25th October, 1998 addressed to the petitioner's Branch Office, the respondent company is said to have acknowledged the receipt of the consignment, incidentally making a reference about the alleged fire accident at Nanded and on that ground pleadings not to present the cheques enclosed with the letter for some time and requesting time for payment. It is also pleaded that by another letter dated 26th January, 1998 addressed to the petitioner's Branch Office at Mumbai, the respondent company informed the petitioners that they will make the payment of Rs. 20 lacs on or before 3rd November, 1998 and regarding the schedule of payment of the balance, personal discussion will be held in Mumbai Branch Office. The respondent company failed to keep its promise and again wrote a letter dated 30th October, 1998 to the Broker M/s. Jamnadas Bhimji & Company informing them of a fire accident on 19th October, 1998 in the factory and that the operations of the factory were stopped and admitting the claim of the petitioner company and requesting to bear with the respondent company. Thus, it is stated that the entire claim of the petitioner was admitted and only the time factor for payment of the entire amount was to be arranged. The Demand Draft dated 29th October, 1998 for Rs. 10 lacs drawn on Bandra Mercantile Co-op. Bank Ltd., Bombay, was enclosed along with the above-mentioned letter. The petitioners received the said Demand Draft for Rs. 10 lacs. The respondents did not adhere to the schedule of payment of Rs. 10 lacs by 3rd November, 1998 and Rs. 30 lacs by 30th November, 1998 apart from the promise to pay the balance after discussion regarding the payment schedule. The petitioner further goes on to say that on account of indifferent attitude of the respondent and on receiving information from the reliable sources that the Oil Tankers consignment purchased by them were sold simultaneously in Hyderabad market and were not burnt at all in the alleged fire accident, the petitioners lost confidence in the representations of the respondent and presented two cheques out of the four cheques for encashment in the petitioner's bank. These cheques were dishonoured. Therefore, the petitioner has filed a criminal case under section 138 of the Negotiable Instruments Act. Further it is stated that initially the petitioner did not suspect the bonafides of the respondent and believed the version of the respondent in regard to the reason for deferred payments pleaded by them and acceded to their request. The petitioners, however, came to know that the respondent company through their letter business associates M/s. Gopal Enterprises have already received cash by selling the oil consigned by the petitioner in the open market and gave a false statement that the oil consigned by the petitioner to the respondent has been drained out from the tanks of the company due to the alleged fire accident. Thus, the petitioner has come to the conclusion that the respondent made the petitioner part with valuable stock of oil in their factory with the pre-planned device to cheat the petitioner by withholding the payments and causing wrongful loss to the petitioner and getting wrongful gain for themselves. It is claimed that the petitioner has moved the concerned authorities to investigate into the mischief played by the respondent company, in not only causing loss to the petitioner but also in their attempts to get huge amount from the Insurance Company. Statutory notice was issued dated 29th January, 1998 to the respondent company. The company acknowledged the receipt of the statutory notice and gave reply dated 19th January, 1999. It is mentioned that the company had invented a false plea of non-receipt of certain consignments and denying the liability. A copy of the legal notice and reply are annexed to the petition. Thus, it is claimed that the company deserves to be wound up. (b) To restrain the respondent company viz., the Golden Oil Industries (P) Ltd. from transferring or alienating its assets and properties to any person pending disposal of the company petition. (c) To pass an order directing the Provisional Liquidator to receive the amount from the Insurance Company payable to the respondent company and pass necessary orders in the circumstances of the case. 5. Affidavit in support of this application is filed by Mr. V.V. Mohan Rao, the Factory Manager of the petitioner company. In the affidavit the deponent has stated that he is well acquainted with the facts of the matter. Thereafter the pleadings in the petition have been summarized in 3 or 4 paragraphs. It is reiterated that the petitioner company has got information that the respondent company sold oil in open market and encashed. The impression sought to be given is that the company's intention very clearly is to sell off the assets including oil converting the same into cash, so that even though the company is going to be wound up, the creditors may not get anything. It is stated that the company is not paying to other creditors also. It has syphoned of the company's assets by selling to their personal accounts. Therefore, an immediate urgent right of the creditors and third parties have to be protected. Winding up proceedings will take quite some time. Meanwhile, if the funds available are removed, there will be no remedy for the petitioner to recover their amount from the respondent company. It is further stated the contents of the company petition may be read as part and parcel of the same. 6. Relying on these observations, on 19th March, 1999, leave was granted to the petitioners to take out Judge's Summons in terms of the draft handed in. The Judge's Summons was made returnable on 5th April, 1999. It was stated by the learned Counsel that if prior notice of this application is given to the company, the purpose of this application will be frustrated. He submitted orally what has been stated in the pleadings. Thus, the case put forward was that the company has sold the entire quantity of oil which was supplied by the petitioner to the company. They have received due consideration from the buyer of the oil. He further submitted that the company has also lodged claim for insurance with the Insurance Company. He also stated that the company is likely to receive the insurance claim within a short period of time. At the same time, he submitted that although the company had earlier accepted the receipt of the oil, now they are seeking to raise a false plea to the effect that the entire quantity of the oil has not been received. He, therefore, submitted that the intentions of the company are clearly to avoid the payment which is rightly due to the petitioner. In these circumstances, ad interim relief in terms of prayer Clause (b) was granted, which has been reproduced above. (d) that pending the hearing and final disposal of the Notice of Motion, the respondents viz. United India Insurance Co. Ltd. be restrained by an order and injunction of this Hon'ble Court from in any manner paying any amount to the defendants to the extent of the plaintiffs' claim in the suit. This order was communicated to the United India Insurance Company Ltd. The said Insurance Company has approved an interim on account of payment of Rs. 3,50,00,000/- out of which the Insurance Company has deducted Rs. 88,43,418/- as per the aforesaid order. This fact cannot be disputed as Mr. Chinai has produced a photostat copy of the Disbursement (claim) Voucher. In the right hand corner of the aforesaid Voucher, it is clearly mentioned that Rs. 3,50,00,000/- are sanctioned on account of payment approved by the Board. Less deduction as per High Court order Rs. 88,43,418/-. The Voucher is dated 17th March, 1999. 8. The order passed in the company application on 19th March, 1999, was conveyed to the Insurance Company stating therein that this Court had granted ex parte relief in terms of prayer Clause (b) and the matter is made returnable on 5th April, 1999. The letter dated 20th March, 1999, states that the copy of the company application is enclosed. The Insurance Company was, therefore, "directed not to disburse the claim amount to the Golden Oil Industries". The words "directed not to disburse" have been underlined. The letter further mentioned that the copy of the order will be served as soon as soon as it is available. The letter further states that the advocate is communicating the order as an Officer of the Court. Thus, it becomes apparent that although there was no order of the Court directing the Insurance Company not to disburse any amount to the company, yet the Insurance Company had been directed not to disburse the amount which has been approved for payment to the company. Mr. Chinai has also raised various other issues on merits, but for the purpose of decision of this application, the same are not relevant. From the aforesaid narration of facts, the following scenario emerges. There were failure perhaps on the part of the company to carry out its commitments. Certain amounts of money had been paid. Certain cheques had been dishonoured. Criminal proceedings have been launched against the company. These are all facts vividly narrated in the petition as well as in the affidavit in support of the application. There are also averments to the effect that the entire supply of the oil has been sold and disposed of by the company through M/s. Gopal Enterprises. This fact is denied by the respondent company. They emphatically stated that M/s. Gopal Enterprises have nothing to do with the respondent company. Yet the impression was given to the Court that M/s. Gopal Enterprises is only a paper company actually belonging to the respondent company. Apart from the bald statement, there is no material placed on the record to show that M/s. Gopal Enterprises is either owned or controlled by the respondent company. Thus, these statements have been made without any material. But since the same were made on oath, the Court accepted the same to be correct. As noticed above, the criminal proceedings launched against the company are emphatically noticed. Yet a totally double standard has been adopted about the proceedings in the Civil Court. The petitioners have chosen not to disclose that the Summary Suit is filed. They have failed to disclose that ad interim order securing the claim of the petitioner has been passed. They have failed to disclose that the Insurance Company has actually implemented the order passed in the Summary Suit. This fact is not disclosed in the petition inspite of the fact that it is mentioned in the reply given by the company to the statutory notice under section 434. All other defences taken in the reply by the company are mentioned in the petition. But the defence to the effect that the interest of the petitioner has already been secured, has not been disclosed. In such state of affairs, the Court would be left with no option but to dismiss the application without going into the merits. 10. However, on 5th April, 1999, the impressions of the Court were made known to the Counsel for the petitioners. The Counsel submitted that the petition had, in fact been drafted by the lawyer of the company in Hyderabad. He submitted that without verifying the contents of the petition, the same was filed after only changing the format of the petition. He submitted that he did not even have time to go through the reply filed by the company to the statutory notice. The Court assured the Counsel that action, if any, has to be taken against the person, who has filed the false affidavit. Therefore, he was requested to keep the deponent present to the Court. Since the deponent was in Hyderabad, the matter was stood over to the next date i.e. 6th April, 1999. On that day, the learned Counsel submitted that the deponent cannot be held responsible for the averments made in the petition or averments made in the affidavit in support, as he has made the averments on the directions of the Managing Director. Therefore, on that day, the Counsel was requested to inform the Managing Director that his presence is required in Court. For this reason the matter was stood over till 8th April, 1998. This was done to give an opportunity to the petitioner to withdraw the petition with grace. 11. Today the Managing Director is not present in Court. The learned Counsel has stated that the Managing Director is 74 years of age. No justifiable reason has been given for the absence of the Managing Director, except for a bald statement to the effect that he is suffering from Blood Pressure. Such statement cannot be accepted. There is no material placed on record about the illness of the Managing Director. Mr. Chinai, at this stage, however, stated that even this statement made by the Counsel is false as the Managing Director is not a day over 65 years of age and is hale and hearty. Thus it becomes evident that the Managing Director is deliberately absent from Court without any justification. Instead of being present in the Court, the Managing Director has filed an affidavit in rejoinder. In this affidavit some justification is sought to be given as to the misstatement made. It is stated that the petition had to be filed urgently, and the petition and affidavit in support were drafted at Hyderabad by Counsel of Hyderabad. The petition was filed only by changing the format as per the High Court Original Side Rules, by the advocate in Bombay. It is stated that there was no time even to get the enclosures typed and xerox copies have been annexed. Only lodging number was given to the petition and the company application. It is stated that initially an impression was given to the petitioner that the oil was received by the company. It was, however, stated to have been destroyed in fire and therefore, some time should be given to repay the amount. It was also mentioned in the letter dated 30th October, 1998 that the balance amount will be paid after insurance claim is received. However, in the mean time, from the local market in Hyderabad, they learnt that the respondent has sold some quantity of oil at Hyderabad through either Benami or sister concern M/s. Gopal Enterprises. Thus, it is stated that when the fraud was detected the petitioner realized that the respondent's intention was not honourable. Thus, whatever has been pleaded in the petition as well as affidavit in support is reiterated in the affidavit in rejoinder. A justification is given to the Court that the petitioner had rightly represented to the Court, as this was the impression they had about the conduct of the company. With regard to the non-mentioning of the Garnishee order and the summary suit, it is stated that inspite of the order being served on the United India Insurance Company Ltd., there was no response from them about the confirmation that they would abide by the order of the Court. Reference is made to the letter dated 16th March, 1999 expressing the anxiety of the petitioner that the United India Insurance Company Ltd., was likely to disburse certain amount to the respondent. In these circumstances, the company winding up petition was filed in order to protect the interest of the petitioner. But no justification whatsoever is given as to why it was not necessary to mention the filing of the summary suit and passing of the ad interim order. No justification is given as to why it was not necessary to mention that the claim made by the petitioner company had already been secured by the orders of the Court. This kind of explanation has to be stated only to be rejected. "On 5th April, 1999 when the matter appeared on the returnable date a statement was submitted by the Counsel for the respondents, (a copy of which is not given to me), it appears that the United Insurance Company has retained the claim amount with them in view of the High Court order in the Summary Suit". Therefore, it is stated that "in view of the said statement of the United Insurance my claim is secured as of today and therefore I would like to withdraw the company petition and the company application". Inspite of giving this explanation for withdrawing the petition, it is stated in paragraph 4 that non-mention of the summary suit has happened inadvertently and there was no intention to suppress any fact from the Court. Thus, the deponent tenders unconditional apology. It is stated that by not stating the fact, the deponent could not have gained anything. This statement clearly shows that the deponent has scant regard for the sanctity of proceedings in the Court. Although the deponent says that an unconditional apology is tendered, yet the affidavit is full of justification for making deliberate mis-statements and suppression of material facts. In such circumstances, it is not possible to accept the prayer made by the deponent for withdrawal of the petition. The application and the petition must meet their natural fate, that is dismissal. It is established that the ad interim order was made relying on material misstatements of the deponent. Therefore, in my view, both the petition as well as the application deserves to be dismissed. 13. In circumstances such as this, the Court would be fully justified in ordering criminal prosecution against the Managing Director as well as the Manager of the Company. But these proceedings will probably take years to reach finality. In the process, the Manager and the Managing Director, will probably escape without even a scratch. This is a fit case where the Court should express its displeasure immediately. Thus, I am of the considered opinion that the ends of justice would be met if the petition as well as the application are dismissed with heavy costs. Both the petition and the application are dismissed with costs which are quantified at Rs. 25,000/-. 14. Petition & application dismissed.